Seven new guidelines on the casting of actors with learning and developmental disabilities for film and TV have been proposed and backed by senior screen industry representatives and politicians in Wales today. Hijinx, who developed the guidelines, is a pioneer in the field of inclusive film and theatre, running a non-profit actor training academy and casting agency for neurodivergent actors. They include advice on avoiding stereotypes and auditioning appropriately in a bid to promote ethical casting, ensuring that learning disabled characters are fairly represented on screen. "We believe that our goal of a neurodivergent actor winning an Oscar by 2030 is achievable." Hijinx announced their recommendations at the Casting Neurodivergent Actors in Film & TV Seminar which was attended by senior screen industry representatives and politicians. The debate addressed the barriers to casting learning disabled actors as well as how casting neurodivergent actors could become the norm. The seminar offered constructive support and advice on how to cast a neurodivergent actor, how to cast authentically, and how to avoid stereotypes, with an ultimate goal of ending the casting of neurotypical actors as neurodivergent characters. "We believe that our goal of a neurodivergent actor winning an Oscar by 2030 is achievable through effective partnerships between the screen industries and learning disabled-led organisations such as Hijinx," said Clare Williams, Chief Executive of Hijinx. "For each of the seven recommended new industry standards, we offer a solution and support. Today we are letting the screen industry know that we are here to help." During the seminar Llyr Morus, producer of Welsh soap opera Pobol y Cwm, was praised for having a learning disabled actor cast as a learning disabled character. Pobol y Cwm approached Hijinx early on in the storyline process; this enabled them to build in the necessary arrangements for casting and rehearsals. 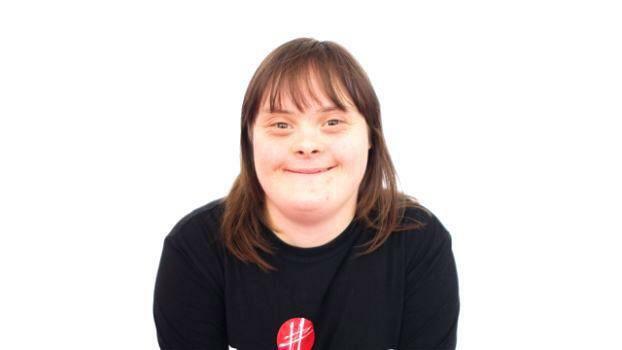 Sian Fouladi, a 28-year-old actor with Down’s syndrome, has played the character Ceri since 2017. She was supported in rehearsals and on set by a Neurodivergent Artist’s assistant from Hijinx. While only receiving 16% revenue funding from Welsh Government and Arts Council of Wales, Hijinx has an expansive, ambitious mission to make it commonplace to see more learning disabled actors on stage and screen. Having recently secured a £235,000 cash injection from Morrisons Foundation to develop their Film strand, part of the six figure sum will enable Hijinx to match-fund three short films featuring neurodiverse casts over a three year period.